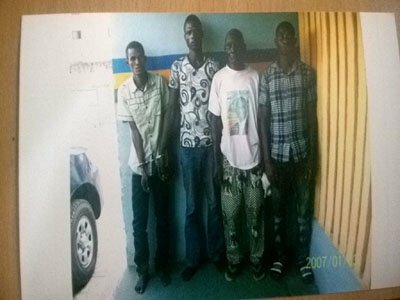 Two brothers have been arrested by the police for allegedly killing and burying a 39-year-old guard, Kola Segun. Samuna Hussein, 26 and his brother Haruna, 25, from Niger Republic, were arrested on November 27, after the late Segun’s wife, Juliana, filed a missing person report at the Moroko Police Station. Two security men, Rasaki Yusuf and Saidi Amosun, who were on duty with the late Segun at Multi-Links, a telecom firm, at Oniru, on the day of the incident were also arrested. The Nation gathered that Samuna, a worker with Multi-Links, contacted the late Segun around 5am on November 24, over a job offer from their boss at Lekki Phase I. The late Segun, it was learnt, was relieved of his duty at the company’s Oniru Office, because he suffered asthmatic attack on duty.The firm was said to have laid him off for health reason. When Samuna called about the job, the late Segun was said to have told his wife about it before leaving home to see his colleagues. She was said to have gone to look for him in his former office, but on getting there, she was told that he was never recalled. She then asked for Samuna, but he was not around. She was said to have asked for his number and was obliged by one of the security men. “The woman called Hussein several times but he was not picking. He later picked and told her that her husband duped him of N2.6 million. That he collected the money under the guise of helping him buy a land but has disappeared. Unknown to her, Hussein went to the station around 2pm on November 24 to complain that Segun and two others attacked him at his residence and collected N2.6 million from him. “So, it was after the woman went to report about her missing husband Segun and mentioned Hussein that the police started investigating. Police took her to identify the company where her husband worked and it turned out that it was the same case. That was how Sumana Hussein and his brother were arrested. Initially, he denied knowing the whereabouts of the deceased. He claimed that the deceased collected the money he raised with his brothers to buy land and absconded. “The police then contacted the security men on duty that day and one old man disclosed that Hussein and his brother were beating Segun in the premises. He said he overheard them asking him where the money was and beating him seriously that he had to come out and chase them out of the premises to avoid any problem. “It was at that point that Hussein admitted that they used hammer to beat him and that he later gave his brother, Haruna, N20,000 to take him to the hospital. And that his brother told him he took him to the hospital. But the police didn’t believe the story. “The police probed further and Haruna confessed that they buried him inside the compound. He said that while he was taking him to the hospital, the tricyclist who was to convey them there said he was not going. “He said Segun was unconscious and seems to have died and so, he carried him through the back gate of the company, which was opened by his brother and they buried him there. “They buried him in sucha way that no one would know. They used dried weeds and debris to cover the grave. Anyone passing there wouldn’t know anything happened. It was when the Divisional Police Officer (DPO) Abdulmajid Isa came to the site with some officers that we even knew what happened,” the source said. The command’s spokesperson, Dolapo Badmos, a Superintendent of Police (SP), said the suspects have been transferred to the homicide section of the State Criminal Investigation and Intelligence Department (SCIID).